I'm going to be lethal! Honest. This week Shooter and myself set off in search of the elusive obvious - aka went to do some clay shooting. After last summers debacle in the pigeon fields of Fife my confidence with a shot gun was at an all time low. Shooter had once told me 'I don't play favourites if it goes bang I love it' and I'd confessed to him that I'm a total lummox with a shot gun. Being the optimist that he is he graciously retorted " I cant believe that; either you are lying, very modest, or you've never been taught how to do it". 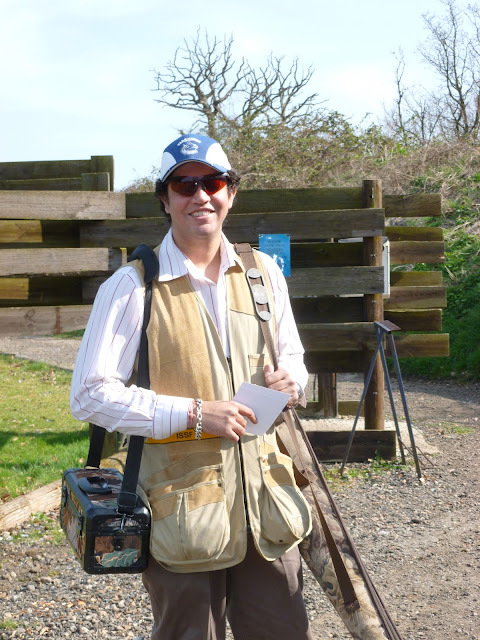 Any sunny afternoon in the country is better than one in the city, and buoyed by the thought that if I couldn't break any clays I'd at least be able to chip Shooter's optimism I joined him for an afternoon at the A1 Shooting Ground. What Shooter thinks he's going to need a score card for I'm not sure? Shotguns are easy, in the same way that that fly casting and archery are easy, its just that everything about being human gets in the way of the true simplicity of what you're doing. You know those people who over complicate things? Put four of them in a row and they still wouldn't over complicate things as much as me. It's not that I couldn't think my way out of a paper bag, its more that I could think of 300 ways to get out, but be unable to decide which one seemed most appropriate. Shooter works tirelessly with me on the basics, and all of a sudden the clays start to break. But then I lapse back into thinking about it. Doh! Every clay that breaks is another example of the beautiful Zen of shooting, if Shooter distracts me while the clay's in the air I shoot it, left to my own devices I try aiming like a rifle and miss, sometimes by miles! Claudio and Teresa Capaldo have a really nice set up: 40 acres just inside the M25 (london's beltway). There's none of the moodiness I've seen at other shooting grounds, a really friendly place. Claudio is an Olympic coach and while I watched him give Shooter a few pointers I could see why. I've known a few experts over the years and watched them struggle to reveal what is painfully obvious to them, to students who clearly aren't getting it. An expert coach is a very different thing to mere coaching-from-an-expert. When you see the real deal in action its striking just how little they have to do or say to get the penny to drop. 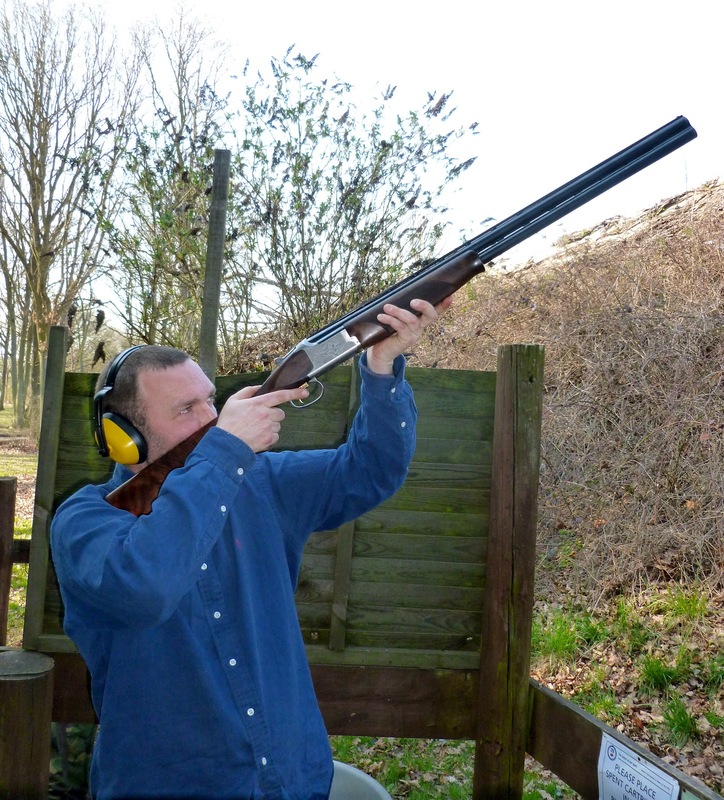 The Northern Monkey and myself once went to shooting ground just outside York and received some of the worst tuition I've ever seen, when we arrived we could both break clays, when we left neither of us could, if we'd paid to learn how to dispirit newbies it would have been a bargain. Watching Claudio handle the gun was something of a revelation to me too. 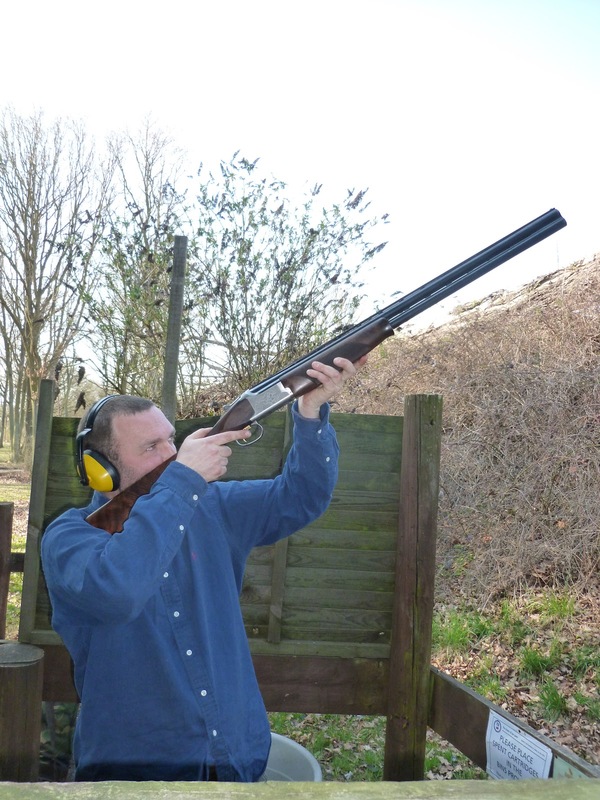 For a start he puts gun-to-face-then-to-shoulder rather than shouldering the gun then planting his face on the stock. The whole movement seemed more lively and fluid. His 'ready stance' was also more lively, the bead (a shotgun's front sight) always kept at nose level - this made the gun jump to his shoulder as though it was on elastic. I have heard this explained a few times but there was something about the way Claudio says 'it shoots where you look' then with a few words brings the connection between gun and body into conscious awareness, setting up an anchor for Shooters's grip on the forend so his hold would become consistant. 'Fingers lower on the pistol grip, when you get home get a screwdriver and move that trigger much further back' With these simple pointers Claudio changes the whole way the gun sits in relation to Shooters body. The whole exchange can't have lasted more than 90 seconds. If I'd known how marked the change would look I'd have taken before and after photos. 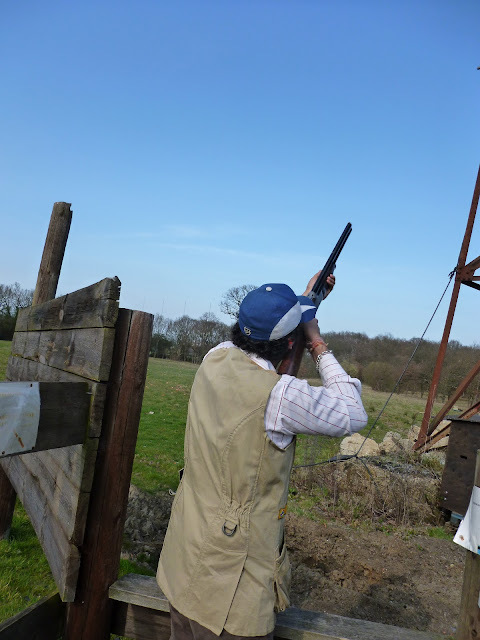 Thanks to Shooter, a great day out, and an interesting lesson in how to give a lesson too, I'll defiantly be going back for some coaching from Claudio. If you've got any pointers or advice please leave a comment.